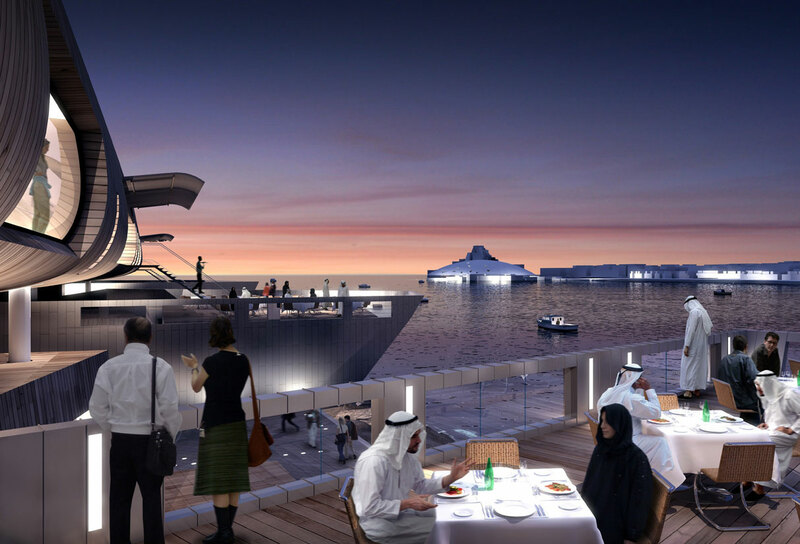 The Khalifa Bridge Marina location presents a gateway to Downtown Abu Dhabi and is in close proximity to several world-class tourist attractions: the Louvre Abu Dhabi Museum and the Guggenheim Museum Abu Dhabi, situated on Saadiyat Island, across the channel. The site’s location plays a pivotal role as a stepping stone between Abu Dhabi and Dubai. 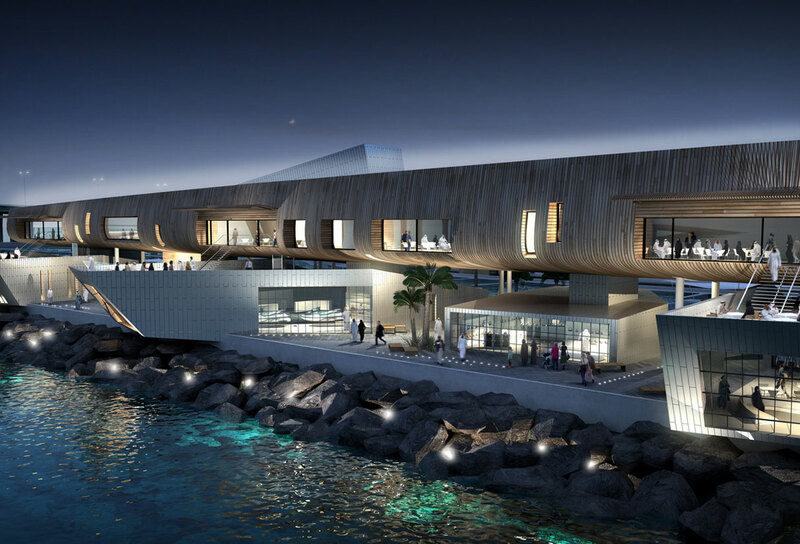 The proposal maximises spectacular views out across the water to Saadiyat Island and the new cultural institutions while providing 400 marine berths, a community centre and significant food and beverage and retail space. 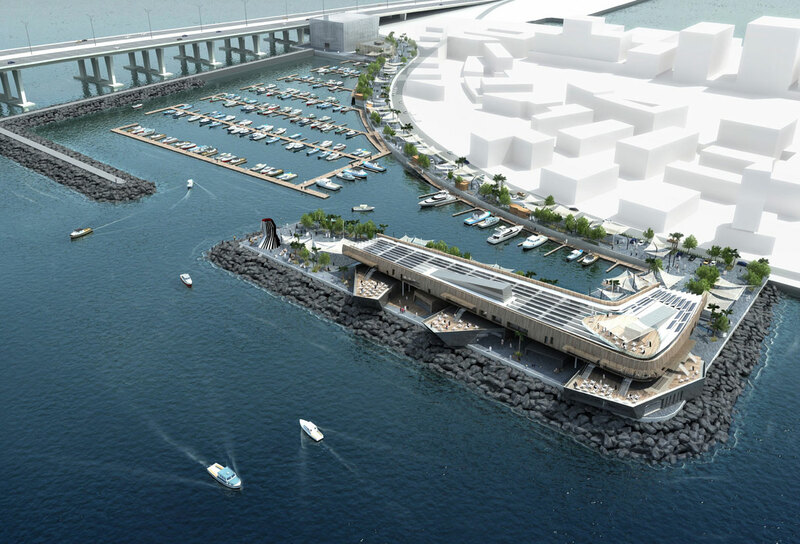 The proposed marina basin is defined by two breakwater arms creating a protective enclosure to the perimeter of the site. The proposal widens the northern breakwater and forms a new landmass that will become the foundation for the northern element of the proposed development. The scheme maximises efficiencies of construction and increases the plot value and commercial viability of the scheme by making the most of the views and development potential on the site.